How to watch Better Call Saul: Season 4 (2018) on Netflix Canada! Sorry, Better Call Saul: Season 4 is not available on Canadian Netflix, but you can unlock it right now in Canada and start watching! With a few simple steps you can change your Netflix region to a country like Pakistan and start watching Pakistani Netflix, which includes Better Call Saul: Season 4. We'll keep checking Netflix Canada for Better Call Saul: Season 4, and this page will be updated with any changes. Better Call Saul: Season 4 is not available in Canada BUT it can be unlocked and viewed! This Emmy-nominated prequel to "Breaking Bad" follows small-time attorney Jimmy McGill as he transforms into morally challenged lawyer Saul Goodman. 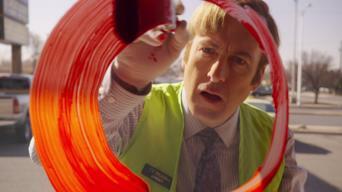 Before he was Saul Goodman, he was Jimmy McGill. And if you’re calling Jimmy, you’re in real trouble. 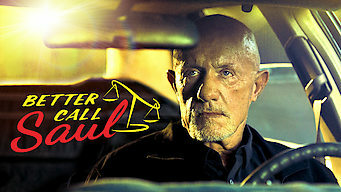 Season 1 of Better Call Saul has 10 episodes. Because different Netflix countries have different availability for episodes, you'll need to check the episode listing below to see which are available in Canada. Struggling lawyer Jimmy McGill tries to leave his seedy past behind him, but old habits die hard when a big opportunity presents itself. 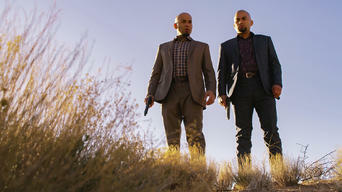 In a tense and violent standoff with dangerous criminals, Jimmy will live or die based on his own powers of persuasion. With the cops holding his dangerous new client, Jimmy tries to point the police in another direction while saving his own skin in the process. A desperate Jimmy gets creative in order to drum up new business and manages to sneak in a little revenge for good measure. Jimmy tests the waters in a new area of law practice while doing his best to keep his brother out of harm's way. When Mike needs a favor, he finds Jimmy willing to go to surprising lengths to lend a hand. However, that doesn't put Mike's demons to rest. Jimmy's new clients put him at a personal and professional crossroads, so he calls in a favor for some covert assistance. The opportunity to serve a crooked company some legal justice sends Jimmy digging for evidence and reinvigorates Chuck in the process. Jimmy's big case forces him to swallow his pride and look for help from an unlikely source. Meanwhile, Mike gets back in the job market. While visiting his hometown, Jimmy reunites with his old partner in crime. It doesn't take long before the two start hitting their stride again. Season 2 of Better Call Saul has 10 episodes. Because different Netflix countries have different availability for episodes, you'll need to check the episode listing below to see which are available in Canada. As Jimmy revels in his newfound freedom, his relationship with Kim takes a turn. Mike cuts ties with a reckless client. Mike tries to defuse a volatile situation before it blows up in his face. Jimmy's old instincts kick in as he works to clear an eccentric client. When Jimmy's efforts to rustle up more Sandpiper clients arouse suspicion, he changes tactics -- and finds a new use for his dazzling showmanship. Mike weighs a lucrative offer that could lead him into murky waters, while Jimmy scrambles to repair the damage from his rogue campaign. As Kim tries to claw her way back into the firm's good graces, Jimmy bristles at interference from a junior associate and Chuck revisits an old wound. Jimmy finds comfort in a familiar place, while Kim weighs a life-changing proposal. An alarming new threat pushes Mike to the limit. Jimmy stumbles on a colorful solution to his problems at Davis & Main. Kim grows restless as she waits for a juicy offer to materialize. 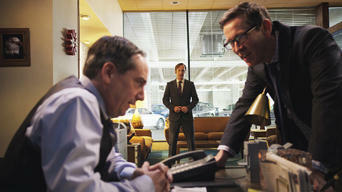 As Mike faces pressure from all sides, he tries to regain control of his own fate. Jimmy pursues a new opportunity that arises unexpectedly. After a humiliating setback at work, Chuck vows to reveal Jimmy's true nature to Kim. 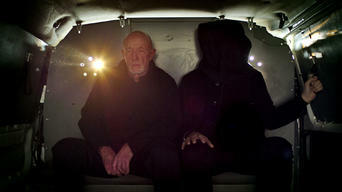 Meanwhile, Mike makes a bold move against Hector Salamanca. 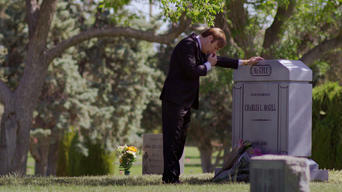 Jimmy faces one grueling choice after another in the wake of Chuck's collapse. Mike prepares for a mysterious mission in the desert. Season 3 of Better Call Saul has 10 episodes. Because different Netflix countries have different availability for episodes, you'll need to check the episode listing below to see which are available in Canada. As Chuck plots his next move, another lie comes back to haunt Jimmy. A rattled Mike tries to find out who's been tracking his movements -- and how. Mike closes in on his target and taps Jimmy for a covert mission. A new hire brightens the offices of Wexler and McGill. Kim receives troubling news. While Mike meets with his mysterious new acquaintance, Jimmy faces the humiliating aftermath of the incident at Chuck's. 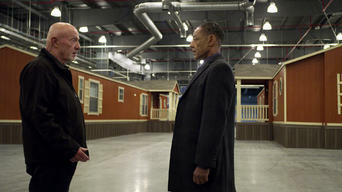 A tense scene unfolds at Los Pollos Hermanos as a long-simmering feud boils over. Kim helps Jimmy prepare for a courthouse meeting with Chuck. As Jimmy's date with the state bar committee arrives, he and Kim set in motion a series of surprises for Chuck. While Chuck tries to make sense of what happened at the hearing, Jimmy finds a clever way out of a financial jam. Don Hector gets under Nacho's skin. Jimmy struggles to make ends meet, Kim wrestles with a guilty conscience, and Nacho lures a former supplier into his plot to bring down Hector. Jimmy is forced to play hardball when customers try to back out of a deal. Nacho practices for his big moment. Mike forges a secret partnership. 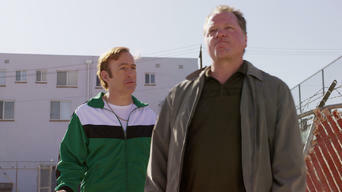 A devious scheme sends Jimmy back to Sandpiper. Meanwhile, Chuck and Howard lock horns over the firm's future, and Kim hustles to please a new client. A shell-shocked Kim reevaluates her priorities, Jimmy tries to atone for a mistake, and Chuck suffers a series of setbacks. Season 4 of Better Call Saul has 10 episodes. Because different Netflix countries have different availability for episodes, you'll need to check the episode listing below to see which are available in Canada. As Jimmy comes to terms with a sudden tragedy, Mike heads to Madrigal on a recon mission, and Nacho meets with Juan Bolsa. Jimmy turns on the charm for a job interview, Gus stews over Hector Salamanca's condition, and a fed-up Kim unloads on Howard. Gus's men put Nacho through an agonizing ordeal. Jimmy's easy-money scheme hits a major snag. Kim dives back into her work with Mesa Verde. To show Kim that his life's back on track, Jimmy takes a new job. Nacho gets caught in a bloodbath. Mike rocks the boat at a support group meeting. While Jimmy uses his street smarts to hawk cell phones, Kim picks up work as a public defender, and Mike interviews excavation specialists. 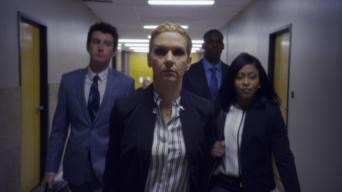 Kim mulls a change to her work arrangement, complicating Jimmy's plans for Wexler-McGill. Mike and Gus prepare for the arrival of German laborers. Amid new strains in his relationship with Kim, Jimmy ramps up his side business and runs into trouble with the police. Hector reaches a turning point. 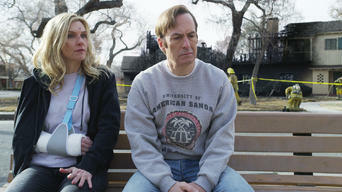 Jimmy and Kim forge ahead with an elaborate scheme to keep Huell out of jail. Mike gives the guys a night on the town, with worrying results. After pulling another scam with Kim, Jimmy makes a pitch to get his law license back. Werner's behavior troubles Mike. 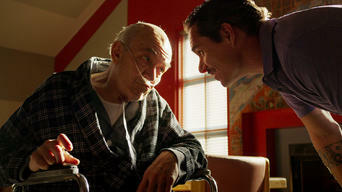 Lalo Salamanca drops in on Gus. On the anniversary of Chuck's death, Jimmy pulls out all the stops to rehabilitate his image. Meanwhile, Mike scours the area for signs of Werner.